Poll: Have you made a portal room yet? Have you made a portal room yet? I use the Printscreen button. I did. But nothing happened. AFTER you do that go into microsoft paint and press PASTE you will then see the image. I'm waiting to find out the details on Ghast spawns. Will they spawn within 1 block, 5 blocks, 10 blocks or 20 blocks of the portal? Like slimes will their hit box be smaller than their bodies allowing for them to spawn in rooms smaller than they are? If the spawn is not precisely predictable than i will need to build the portals far from my wooden homes, but if i can predict and prevent their spawns i will be building them as close to my workshops and homes as possible, hopefully right inside my homes within a few meters of my workshops and minecart tracks. That's what I'm thinking, we don't know the specifics of the Ghasts spawn yet. So it may be that they can spawn, say, up to 20 blocks away from a portal. Which, going by the screenshots in this thread, will cause a lot of surprises for some folks. Ugh... Sorry to ask. (Noob question btw) Where do I get the link or url for the pictures? Do you mean for screen shots you took? You have to upload them to a file sharing site somewhere. I hear imgur is good. Your signature is a liar. It says my answer for you isn't valid, yet you accepted it. I want my money back. That is a very well-timed photo. But Notch has only said that they may spawn near the portal. He didn't say they would spawn directly at the portal. 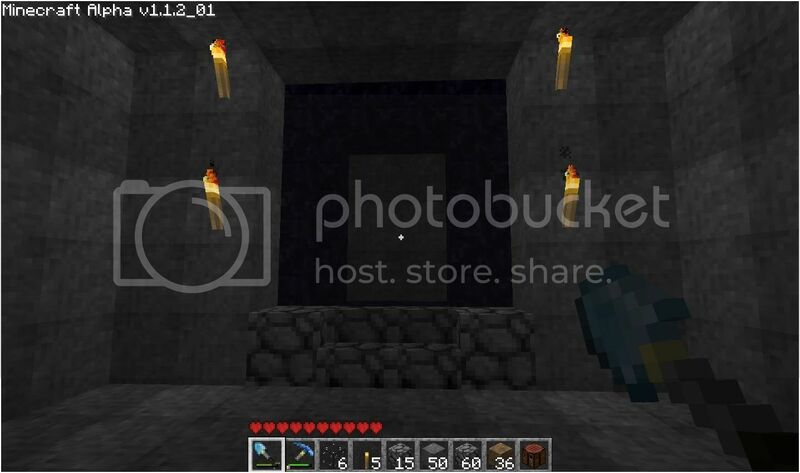 Until we know exactly how far away from a portal a ghast spawns (given enough space), anyone with a free-standing portal room (i.e., not carved into a mountain or something) is potentially risking having hell mobs overrun their base once they spawn outside of all the "safeguards" people are trying to implement. Ugh, I just remembered that I got my copy of Minecraft during the free download weekend, so I just need to buy Minecraft... THEN my portals will have a point. My Portal is protected by water and reeds. But reeds are fragile so it would just flood if a monster attacks from the inside... lol it turned out that there is not even enough room for a ghast to spawn. But what about the new mob? You think you're all that and a bag of chips? Don't forget there mabby other hell monster spawning, like let's say a monster that could be 1x2 or even 1x1 who know? I went for a simple look. 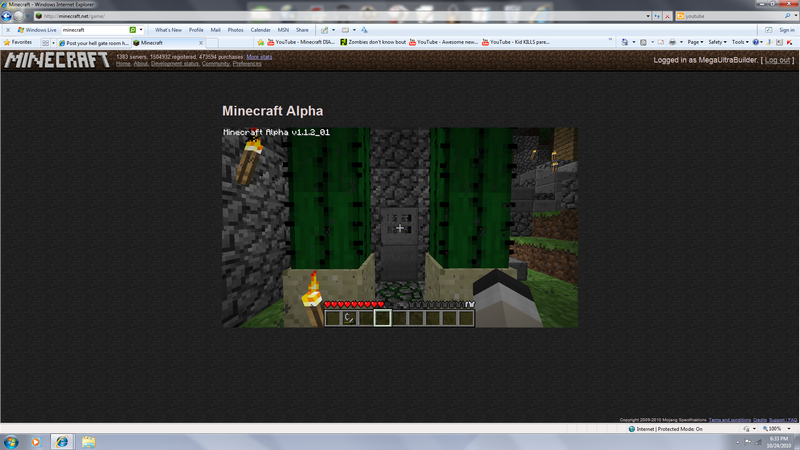 I'm planning on placing my portal at the far end of that temple, behind an inner wall of water. Basically, if Ghasts spawn there, I should be okay with the whole "they shoot flaming projectiles everywhere" thing. Dunno how well it'll work though. I also made another one near my home base but it's an underground area with an airlock leading to the portal, with the first set of doors wired up with redstone. I dunno what I'll do with my other portals, but I'm liking this temple theme. I love how people are making panic rooms and safe rooms for their portals. Ghasts can destroy blocks, so if they spawn outside, say goodbye to yourself and your safe room. Location: I live in my house. It's terrifying when you're too dumb to know who's stupid.